Every time I hear that song, I see a Cornell alum hitting a home run. 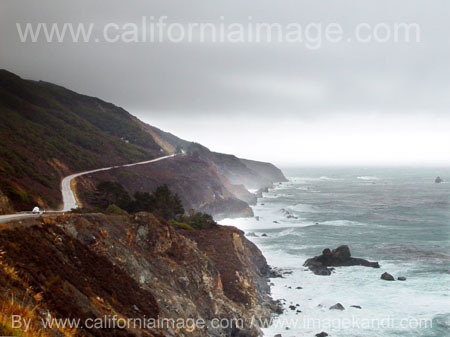 Whenever I hear tracks from Rufus Wainwright's superior second opus, Poses, I see in my mind the Pacific Coast Highway north of Big Sur, California. In particular I see one stretch that curves away from the coastline into a cleft between hills dotted with pale gray rocks, and then climbs up and around to reveal the sea once again. I see this image because it was on that trip, from San Francisco to Los Angeles by car with my wife, that I first truly listened to the album. We bought it at Amoeba Records in San Francisco and listened to it more than once as we drove to Los Angeles. Now I experience a synesthetic connection between Rufus and that rugged coastal landscape -- the bleached colors, the sound of the surf, the lazy light. Sometimes the merging of one sense with another in memory brings back wonderful experiences. At other times, a certain song can bring back a painful feeling of loss or heartache. In each case, I'm glad for the connection; I feel more alive, and I'm always in awe of the power of our senses. At other times, however, this association is downright diabolical. Synesthesia can be defined as "perceiving sensory data of one sense with another, eg, seeing sounds or hearing colors," or "The psychological effect in which people experience a crossover in sensory perception such as hearing colors and seeing notes." While hearing a piece of music and seeing certain images in the mind's eye isn't exactly synesthesia, I'm borrowing the term here to describe that incessant, insipid, inconsiderate association we're all familiar with -- the pairing of songs with videos -- and what it does to our experience of music. In our age of multimedia saturation, commercial synesthesia is just part of the game. Since the introduction of music videos and MTV in 1981, the presentation of music with video has become more than common, it's become expected. Unless you're Pearl Jam, your song doesn't have a marketing prayer without a video. What's more, we consumers have come to expect a visual package with our pop song, to legitimize it, to make it more real. So what's the big deal? Is video necessarily a bad thing? The problem is, the unasked-for aesthetic confusion this trend creates for us as listeners. When I hear a song on the radio, I simply experience the music. I listen to how it's made. I appreciate the voice of the singer or the melody line. Because I'm a musician myself, I consider how the song is put together, the chords, the verses, the choruses. I rock out or I drift along or I change the station. I have a "like it/don't like it" response. But introduce visual images, and now my experience of the song is fundamentally altered. As I process the sensory information, the video images become linked with the song. Whenever I hear the song afterwards I "see" the images in my mind. This compulsory association is one more way forces outside of myself determine how I experience art. I now have someone else's interpretation of what a song "looks like" in my brain -- and often that interpretation is garish, or silly, or disturbing, or just plain irrelevant to the song's content. The worst visual associations are the ones that are just plain nonsense. 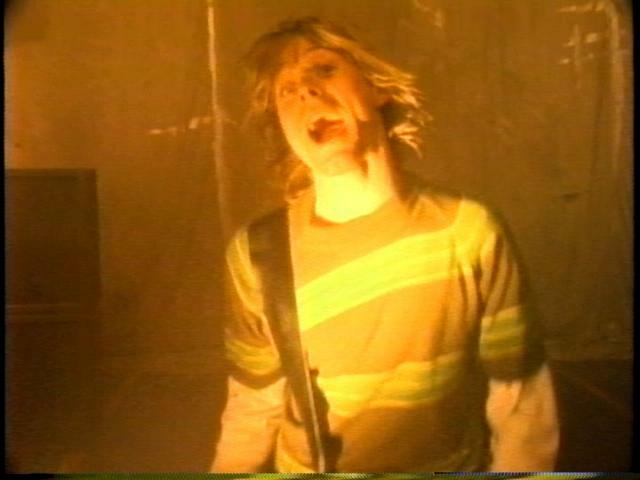 When I hear "Smells Like Teen Spirit" by Nirvana, I see that awful shade of Mississippi River brown in which that high school gymnasium was shot for the video; I see those throngs of maniacal slow-motion teenagers swaying to the music. When I hear "Layla" from Eric Clapton's Unplugged album, I see the bald percussionist in suspenders shaking the shakers, a little too much resemblance to Olivier in Marathon Man. Even worse, I connect visual images to an artist regardless of which song is involved. Recently, on an airplane, I didn't hear but saw a video by new pop artist Daniel Powter (I chose not to pay the five dollars for headphones). It was a song I'd never heard (and still haven't). Now, when I hear his breakthrough track, "Bad Day," on local radio I see that soundless video and the silly wool hat he wore in it. Some would argue that the music video is a piece of art like the song, and that the song serves as a vehicle to open up greater expression, to create a new art greater than the sum of its parts. That would be fine, if music videos told stories or expressed images in the song. At the outset of MTV, some early videos did tell stories, illustrating the song for us. But as I grew up in the late '80s and early '90s, videos devolved into wham-bam affairs, designed for shock, designed to be cool, designed for novelty. Designed to be different than the last one you saw, to get you to watch the video, remember it, remember the song, and buy the album. Even as a fan of abstract expressionism who would rather go to an exhibit on Pollock than Picasso, I don't accept the argument that videos enhance songs and bring out artistic threads that the music alone can't communicate. The marketing character of it all is too cynical, and it has made me cynical. To me, the video is just a quirky, stimulating, semi-hypnotic way to present music, doubling as a marketing tool, because we remember. So: now a significant percentage of my head space contains meaningless visual gibberish attached to songs. As a result, my experience of those songs is no longer mine. It's been hijacked. My only consolation is that I've never seen a Rufus Wainwright video. When I hear "Cigarettes and Chocolate Milk," I can still cruise down PCH 1 with a smile on my face. Over the weekened, the New York Times reported that the Cornell Image Committee -- comprised of recent graduates and current students of the Ithaca universtiy -- wants very badly for everyone to know that Cornell belongs to the country's most prestigious football league. Peter S. Cohl, head of the committee, recently pointed out to the Cornell Sun that the college's website "doesn't say 'Ivy League school.'" The CIC has a bible, and it is the cottage industry and cash cow U.S.News and World Report likes to call its college rankings issue. Cornell now ranks a lowly 13th. The Image Committee is distraught. The Times quoted Cohl as saying that when his school's rankings drop "my value as a human being feels like it's dropping." Much has been made of the trend toward standardized testing and the Image Committee is revealing the sad results of hyper-measuring. This is teaching to the test for higher education. Teaching to the rankings. For those who have been taught that the highest goal of education is a 4.0, the post-academic world must be a daunting one indeed. Little rays of regimented worth like the U.S.News rankings must feel like coming home. Groups like the Image Committee views diplomas as stocks; a commodity , the value of which can be increased or decreased. But the diploma is a symbol of past effort, a marker of something already done. It is static. You went. You learned. You moved on to new matters of substance. Or, apparently, in some cases, you fretted over image. Cohl told the Times the Image Committee had its roots in a Yale-Cornell football game. Yale fans were decked out in what the Times straight-facedly calls "neat gear." On the other side, Cohl explains, "We didn't have cool hats, we didn't have cool hoodies." When life is about one's rank, about ensuring there are plenty of folks beneath you, it is important to have a hoodie that screams Ivy League. It's said that the thirties are the new twenties. For a long time, I thought this expression was related to the U.S. Dollar. When I learned it was about age, one question popped into my mind: What're the forties now? It turns out they're your twenties, too. At least in baseball. Last year, Roger Clemens turned 43 in August and finished the season with a 1.87 ERA. It was the lowest of his career. He is not signed with a team right now and he wants you to think he's retired, but he hasn't really showed too many signs of atrophy. Greg Maddux, who turned 40 earlier in the month, feels more like a human being. He's not a power pitcher and he's not as Paul Bunyan-esque as Clemens. But he's started this season 4-0, with a three-hitter against the Dodgers and, on Sunday, a shutdown of the St. Louis Cardinals -- one of baseball's best teams and the NL Central rival of Maddux's Chicago Cubs. This is the only time he's won the first four starts of a season in his entire career. He is aging like wine. Or maybe not at all. Tom Glavine, a former teammate of Maddux, also forty-years-old, has started this season with a 2-1 record, a 1.38 ERA, and 26 strikeouts in 26 innings pitched. Oh, but they can also bat! Last week, Julio Franco became the oldest player to hit a home run in the Majors and stated that he intends to play until he is fifty-damn-years-old. Baseball fans love a good piece of nostalgia. The game is always Not What It Used To Be. And it probably never was. It's good to know that there are a few people out there who aren't wasting their days reflecting on the glory days.